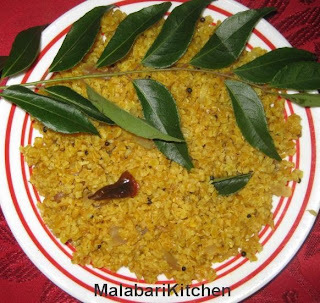 Upma is south Indian breakfast dish. 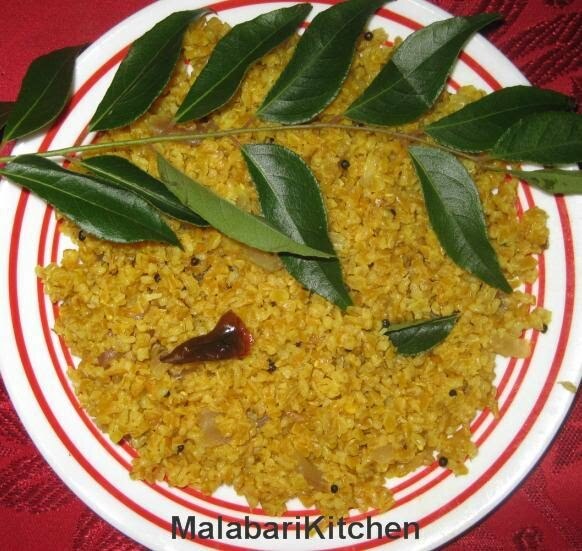 This is a healthy recipe and has very higher nutritional value than the normal Rava upma. =►Soak Whet flakes (sooji gothambu nurukku) for 5-10min. 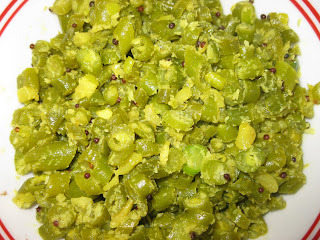 =►Heat 2tsp of ghee (oil) in a pan, add mustard and allow it to splutter. 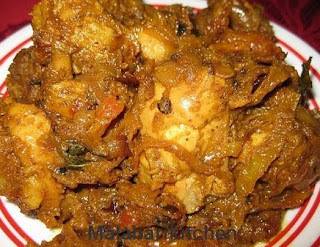 =►Add dry red chilly, curry leaves, green chilies in to it. =►Then add drained wheat flakes and sauté for 3-5mins. =►Add two and half cups of water, turmeric powder and salt into it. =►Close it with a lid and allow it to cook for 10-15min on medium flame& stir it occasionally. =►Once the water is completely evaporated from the wheat, we can switch off the flame.